Abundant sunshine. High 84F. Winds SSW at 10 to 20 mph..
For 20 years, the Antelope Valley project near downtown Lincoln has been both celebrated and cursed. It has been celebrated as a partnership that gave central Lincoln better flood protection, the university area an enhanced road system, and the community a handsome ribbon of green trails and parkland. It was cursed as it devoured city road construction dollars that some citizens felt could be better spent elsewhere. But the end is near. The city's budget for the next fiscal year includes just $50,000 for Antelope Valley. That's the last of more than $91 million in city-related funding spent on the $246 million project. Next year, a decade after the first dirt was moved, the city expects to be finished with the last bridge (South Street between 37th and 38th streets) and the last two legs of street improvements (on 19th Street from K to Q streets and O Street between 17th and 21st streets), according to Kris Humphrey, city engineer overseeing the project. The very last street piece will be the landscaping, which likely will be finished next fall or in the spring of 2013, said Humphrey. Work on Union Plaza and the Jayne Snyder Trail Center should be done by mid 2012, according to J.J. Yost, with the Parks and Recreation Department. The money for those last pieces were budgeted in earlier years, city staff said. So it doesn't show up in the 2011-12 budget. Antelope Valley, from idea to completion, has spanned two decades and four mayors -- Mike Johanns to Chris Beutler. 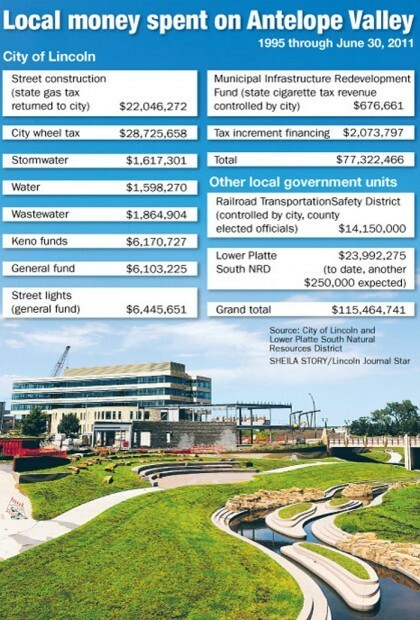 It has used more than $115 million in local dollars, money from the city, the Railroad Transportation Safety District and the Lower Platte Natural Resources District. That includes more than $50 million from the wheel tax and state gas tax, money earmarked for city road building and repair. Local dollars paid for less than half of all expenses. State and federal funds paid the rest. The project has been controversial, at least in part because of how its price tag escalated over the years. It grew from the $175 million estimate in 1999 to the $246 million expected final cost. Inflation is to blame, according to city engineers. Several people who spoke at Monday's city budget hearing complained about the money spent over the last few years on the project. 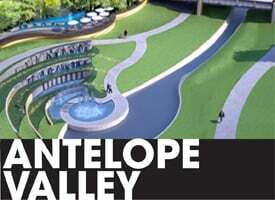 But the Antelope Valley project was a priority of local, state and federal leaders. "Every single dollar that got spent on Antelope Valley went through a separate budget policy process, approved by the federal government, Army Corps of Engineers, the NRD board," said Roger Figard, city engineer. And the City Council approved the city's share every year as part of the capital budget, he said. Reach Nancy Hicks at 402-473-7250 or nhicks@journalstar.com.